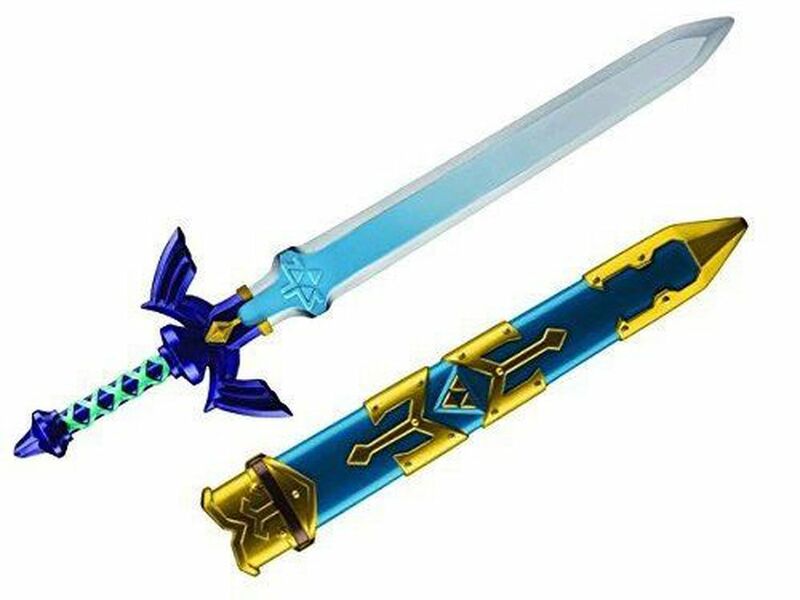 A 22-year-old man struck his roommate with a replica sword from the video game series "The Legend of Zelda" and then a kitchen knife during a fight in an Anchorage apartment, prosecutors said. Anchorage police were alerted to a fight among "multiple roommates," including suspect Jeremy Tazruk, around 12:30 a.m. Friday. When officers got to the apartment at 3531 E. 42nd Ave., near the University of Alaska Anchorage campus, they found a broken television, a bloody napkin, a knife on a table and a bent sword on the floor, according to a court document written by Assistant District Attorney Jessica Bjerke-Owens in support of the charges. On a nearby trail, officers found a person on the ground with a stab wound. That person was identified as "T.P." in the document from the prosecutor. The document describes a fight involving several roommates, though it doesn't say what prompted the pushing and the punches. According to Tazruk and witnesses, it said, T.P. started to push a roommate and flipped her onto the armrest of a chair. Another roommate tried to push T.P. away, and T.P. punched that person. When Tazruk and his fiancee, who was holding their baby, stepped in, T.P. punched both of them too. Tazruk's fiancee asked someone to call police. Tazruk grabbed a replica sword from the "The Legend of Zelda" off the wall "and tried using its sheath to hit T.P.," the document said. After T.P. ran at him, Tazruk hit T.P. multiple times with the sword, according to the court document. "The edges of the sword were not sharp, but the tip was sharp," it said. The fight escalated between T.P. and two other roommates. Tazruk grabbed a kitchen knife and when T.P. "came at Tazruk again," Tazruk hit T.P. with the knife at least twice. T.P. was taken to the Alaska Native Medical Center for treatment of a stab wound on the left side of his ribs. Tazruk was arrested and charged with fourth-degree assault and reckless endangerment, both misdemeanors. He has no prior criminal convictions in Alaska, according to court records.